Original farmhouse with attached barn. The house is currently occupied and the current resident holds a life estate on the house. The Elwell Farm consists of a mix of open fields and woodlands situated on well drained, gently rolling hills. 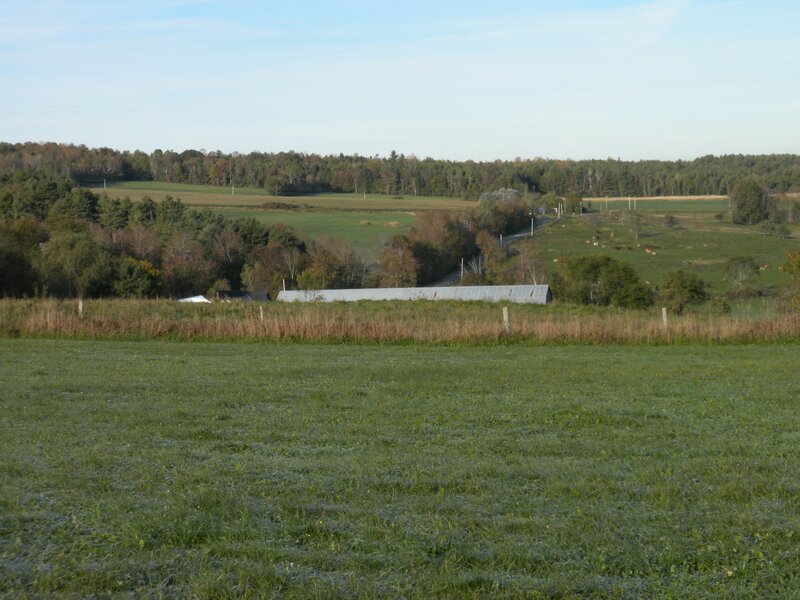 The farm contains over 130 acres of fields and pasture that have been used to support a dairy operation for many years. In addition to hay and pasture land, the fields have been used to produce beans, sweet corn, feed corn and potatoes. Approximately 44% of the property contains Farmland Soils of Statewide Importance, including large amounts of Adams and Dixmont series soils. The Elwell Farm contains over 1 mile of frontage along the Sandy Stream and has the Mussey Brook running through the center of the property. The farm also offers public access opportunities via the Snow Dusters snowmobile trail and the Waldo County Trails Coalition Hills-To-Sea Trail. In addition to the farmhouse, the property contains a large dairy barn, bunker silo and manure pad. The fields and dairy infrastructure are currently leased by a local dairy farmer.